There's a chance Tomas Plekanec could make his season debut for the Montreal Canadiens Saturday night against the Pittsburgh Penguins as the veteran forward was practicing on the fourth line during practice on Friday. Plekanec took the spot of third-year centre Matthew Peca, who is pointless over three games. If Plekanec plays Saturday it will be his 999th career game in the NHL. In other roster news, goalie Carey Price was given a "therapy day" on Friday and did not practice. Going into Thursday's home opening against the Los Angeles Kings, head coach Claude Julien said he liked how the lines were clicking. "We're not changing our style of play. It's not on us to adjust to other teams," Julien told reporters Wednesday. "We'll adapt at some small things, but our style of play won't change." Following a 3-0 shutout loss to the Kings, Julien might be willing to tweak his lines going forward and that could include the 35-year-old Plekanec making an appearance. Plekanec has been a healthy scratch for Montreal's first three games after signing a one-year, $2.25 million deal to rejoin the Habs on July 1. The native of Czech Republic spent the first 14 years of his career with Montreal before they dealt him to the rival Toronto Maple Leafs at the trade deadline last year. Over 17 regular season games with the Blue and White, Plekanec recorded just two assists, but was solid in the playoffs, scoring two goals and two assists over seven contests. He had six goals and 18 assists as a member with the Canadiens in 2017-18. 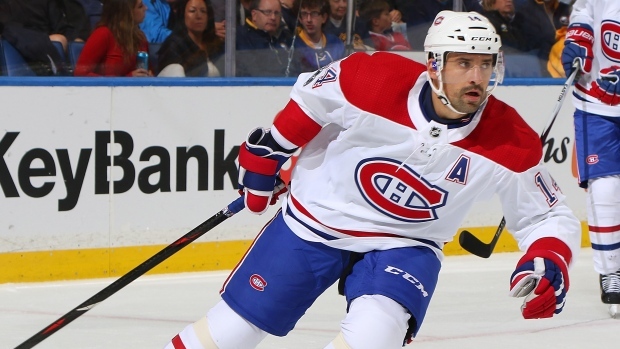 Over 981 career games in Montreal, Plekanec has scored 232 goals with 373 assists.